Open to staff, students and the public. The STV facilities include a gym, Olympic Legacy swimming pool, athletics track, pitches and courts. An aerial view of the Sports Training Village. 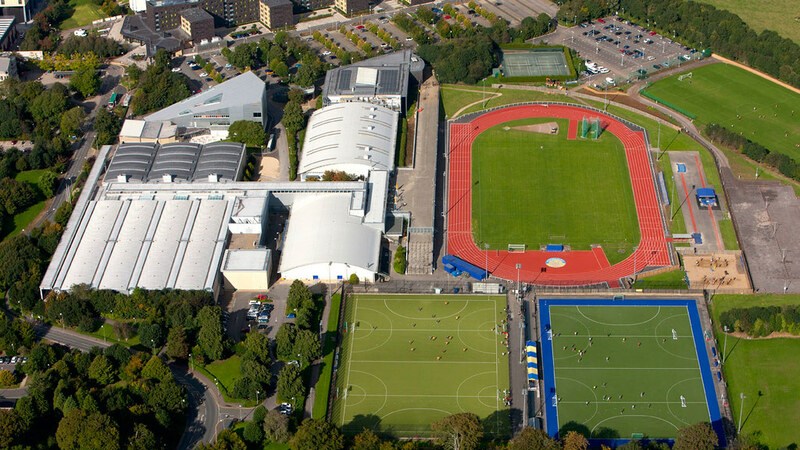 The STV is the home of Team Bath and contains sports facilities for students, staff and the public to use. Find out more about the facilities available and specific opening times. The STV has one water fountain at the swimming pool and two water fountains at the gym available to use. The doors are double-width and automatic. There is a lift inside the building. Visit AccessAble for detailed information on the STV's accessibility. All the facilities have different opening times.